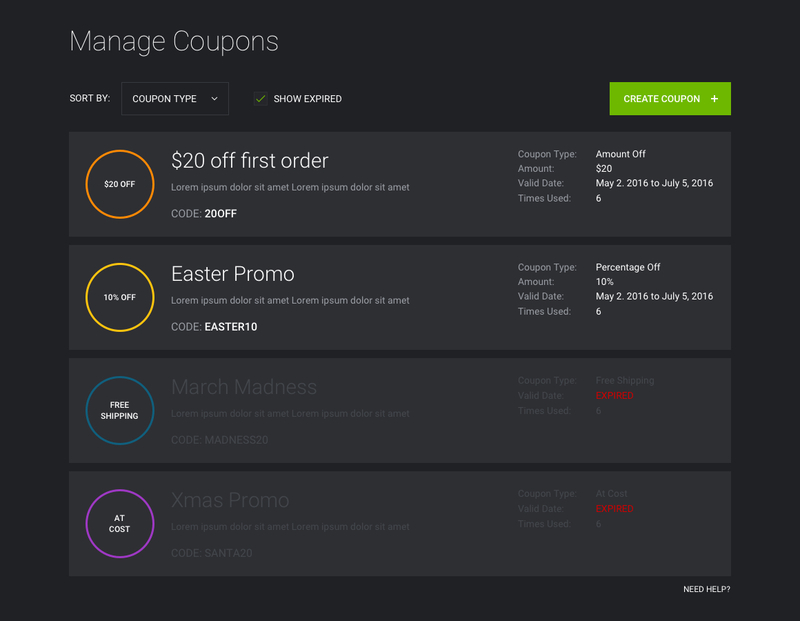 This is a redesign of the coupon interface for business level customers. 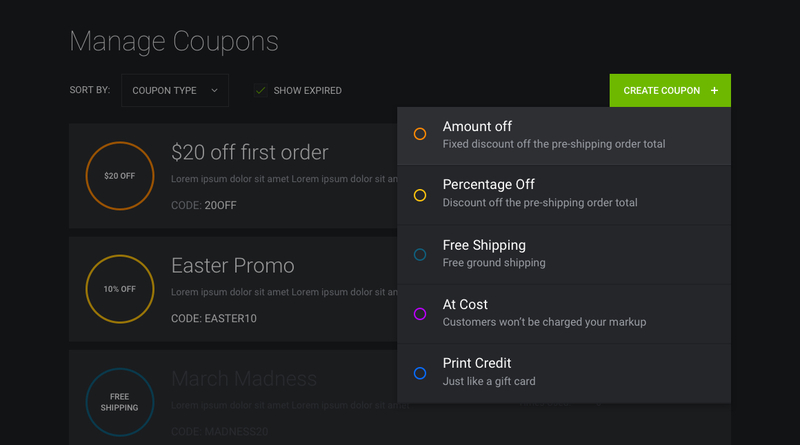 Users are able to create coupons that their visitors and customers could use to get discounts on prints and gifts. 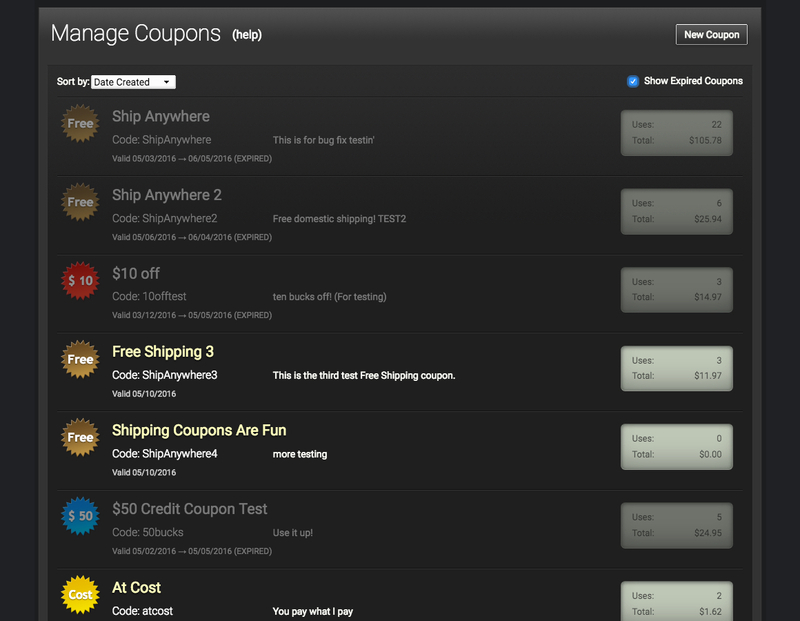 My task was to not only update the styling, but to improve scan-ability and make it easier to create new coupons. Here is the existing design. Notice, the “code” and the valid date (especially when it’s expired) is hard to scan. Also has a very dated design.